As adults, before we finish writing something we may know that we want to make this or that type of changes in order for the finished piece to sound the way we want it to. But for kids, finishing that first draft is a big accomplishment in itself. As far as revising, kids may know that it’s something they are required to do, but they might not really have any changes in mind that they want to make. 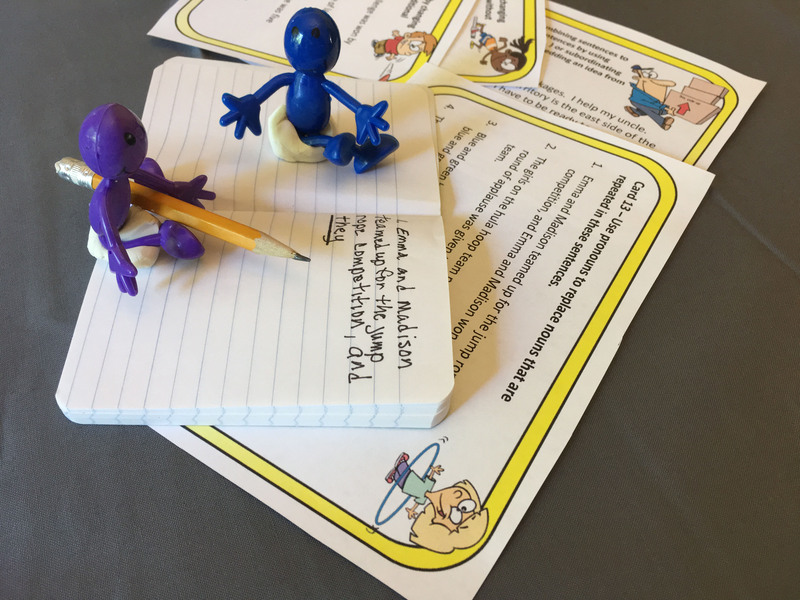 To make revising more meaningful to kids, giving then a specific purpose for revising can be helpful whether they are revising their own writing or working on practice exercises. 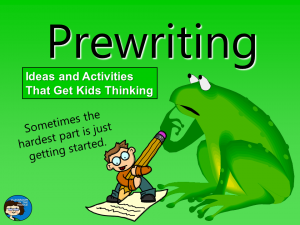 In fact, revising may be an area in which kids need more practice before they focus on practical applications in their own writing. 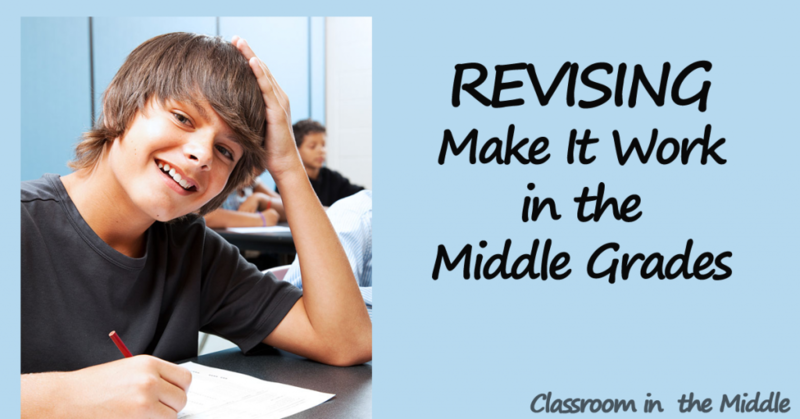 Many kids in upper elementary and middle grades are at a pretty basic level when it comes to revising, even though their other composition skills may be more advanced. 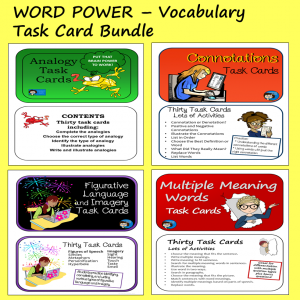 Adding, deleting, and replacing words all need to be practiced. So does the related idea or adding or deleting content. Some kids, on the other hand, may be ready to try more involved revisions. A few good ones to try are adding dialog, changing the tense, and even changing the point of view. Kids will be better at making these types of changes eventually in their own compositions if they have practiced on short pre-written passages in advance. What should be deleted? Content that is repetitious. Content that is off-track. Words or phrases that don’t add anything to the story. What should be added? More specific details when needed. Explanations of an important term or idea. Descriptive words and phrases. Replace boring words with more interesting ones, maybe focusing on one part of speech at a time. Replace generic nouns with more specific ones. Replace passive verbs with active ones. replace overused adjectives with fresh ones. Replace pronouns with nouns if the antecedent isn’t clear. Replace nouns that are repeated too frequently with pronouns. 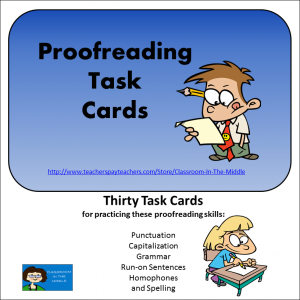 In this photo, the “students” are using task cards to practice replacing nouns with pronouns wherever it will improve the piece of writing. One good first step might be either writing a few lines of dialog by mimicking the lines in a sample or mentor text. Another possibility is to start by changing lines of text chosen by the teacher from indirect speech to direct quotes. 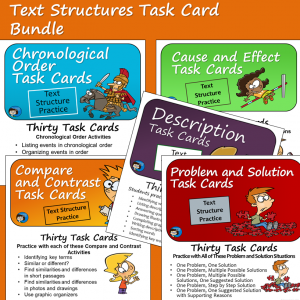 Students can practice writing their dialog using speaker tabs, quotation marks, and commas appropriately for stories, rather than writing their lines of dialog as in a script. Starting with single paragraphs, or even sentences, have students rewrite the passages changing the tense from either past to present or present to past. They may find that they need to make a few other changes along the way to go with the change in verb tense. 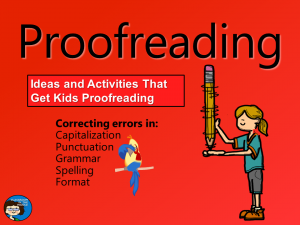 For a student who really likes to write stories, this can be a fun, and challenging exercise. Take a short passage that is written in third person and change it to first. Or the other way around. Once kids have had practice using a strategy in practice exercises, they will be more ready to apply it to their own writing. Even then, providing specific goals as far as what to change can be helpful for a time. Eventually, the students won’t need this aid any longer and will be able to decide on their own which type of revisions will make their paper sound just the way the want it. 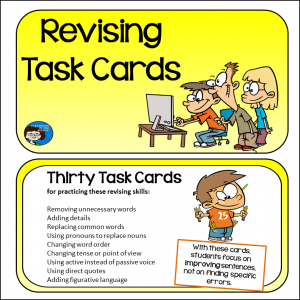 I’ve included examples of these revising strategies, along with student practice exercises, in my Revising Presentation, and for more practice, in a format the kids will enjoy, there are Revising Task Cards. If you’d like to take a look, check out the previews here. Thank you for this great post! 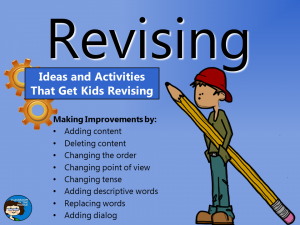 Getting students to understand how and what to revise in their writing. These are some great tips! Thanks for the great ideas. 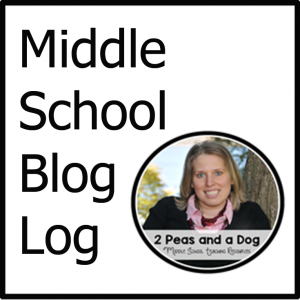 Middle school students definitely need direction to get started.